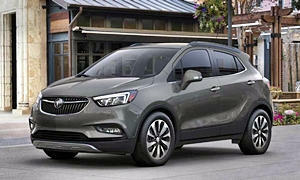 CPO 2017 Buick Envision Essence for sale at Phillips Chevrolet in Frankfort, IL for $21,400. View now on Cars.com. I would recommend the Toyota RAV4. I have test driven a number of compact SUVs and this one checks all the boxes for your needs. 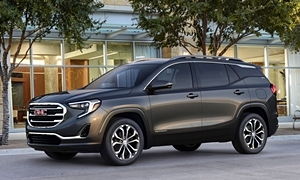 A used GMC Terrain is also an excellent candidate, check out ones from 2014 - 2017. I just purchased a '14 in SLT trim and it rivals my Lexus for comfort and ride. Quiet, comfortable and lots of space. Toyota Rav4 is an excellent idea. The car is about to be discountinued late this year as 2019 is bringing out an all new model with a new engine, transmission, everything. The new ones may not be in your price range but a used one would be. Honda CRV is another good idea. It is also very reliable and has been around in its current version for a number of years now. 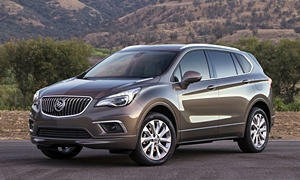 Buick Encore is a solid GM product as well. Very reliable (GM Korea is about their best division) but unless you get the sport model its acceleration is a little slow. 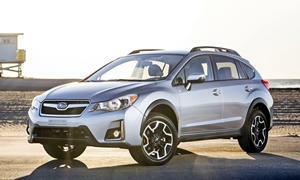 Subaru Forrester maybe the best in this marketplace with its AWD system and generally reliablity. Subaru's do burn oil in about 10% of the cars they build (data from Consumer Reports), but besides that are pretty much troublefree. 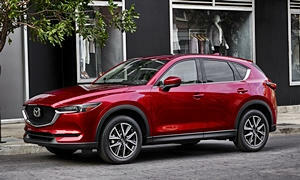 Mazda CX-5 is another good car in this segment. All of the above are reliable good deals. 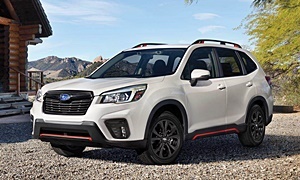 There is no shortage of good small SUVs in the marketplace. It is easier to eliminate some on reliablity. The VW Tiguan is one. 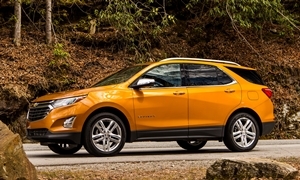 The recently redesigned Chevy Equinox is another (older versions from 2014-2017 are reliable however). The GMC Terrian and Hyundai Tucson are both not very reliable. The Jeep Compass should also be avoided for its reliablity. The Toyota RAV4 and Mazda CX-5 are the only reliable mainstream compact crossovers that are very reliable and good all around choices. The Forester sometimes burns oil, so you take a gamble, but otherwise is good, but noisy.The Honda CR-V is arguably the best compact crossover on the market, but its TrueDelta reliability is not up to par. Otherwise, it is almost flawless. Since you said you value quietness and fuel economy, the 2018 Mazda CX-5 is the better bet. It handles better and is more fun to drive than the RAV4, but both have pretty good steering feel. Mazda doesn't have a good dealer network and are sometimes hard to find depending on where you live. The interior of the CX-5 is on par with luxury cars. When I went to the LA auto show, I made sure to sit in a Buick Envision and I thought the CX-5 had the better interior as far as leather use, materials, and styling. Keep in mind that the 2013-2016 CX-5's were very noisy and not that comfortable. 2017 and newer ones are quiet and have a tight, but smooth ride. The 2018 RAV4 is a little less quiet and not as efficient (3 MPG less). The RAV4 will have a higher resale value. The RAV4 is pretty boring as it is the most sold vehicle on the road that isn't a truck. The RAV4 has every safety feature standard. Between the two, I would definitely buy the Mazda because it drives and feels like a much nicer car for the money. The RAV4 is more durable and rugged. 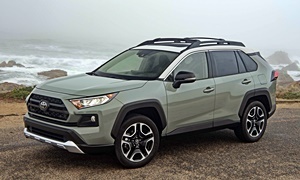 If you can hold out on your purchase for a few months, Toyota revealed the new 2019 RAV4 today, which means that the 2018 RAV4 will be discounted around October probably. Skip the Jeeps. Hyundai Tucson had a horrible first year in 2016 and was plagued with transmission problems. It is still worse than average, but not as bad. This involved the 7 speed dual clutch with the 1.6T engine. The Equinox and Terrain are not that reliable. About the new Honda CR-V's reliability stat: all-new Hondas are often a little glitchy in their first model year, then better after that. Most likely the latest CR-V will follow this pattern. I own the 2014 Honda CR-V and can attest to it's reliability. The 2016 CR-V is another good year. 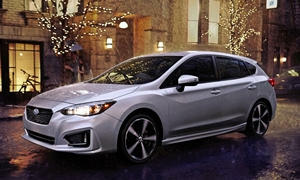 Basically just avoid the "big change" years for Hondas and you're generally fine. That said I don't think you can go too badly wrong with the CRV, CX5, or the RAV4. Pick the one that you can find the combination of "best condition", "low price", service history, and that generally feels the best to drive. Both the GMC Terrain and Equinox are very good for the price and much less than the Japanese when new. They both have near perfect relibility as our 2015 Terrain went almost 50,000 miles with just oil & filter changes and on original tires. My wife said it was her most favorite car ever. I'd skip the Honda 4-cylinders with direct injection for shorter drives as owners are complaining about exessive fuel in the motor oil. I honestly have no problem with the Terrain/Equinox if that is the direction you are leaning towards. I have ridden in one before and it is not a bad ride. We do have to narrow the recommendation a little. For the Equinox look for 2013-2015, 2012 is outside of your 5 year range. Those seem to be the best years for reliability. I DO have friends that have 2016 CRVs and they love theirs. One of them did have the idle issues with vibration, but I think that was fixed with a firmware update? My 2014 CRV does not have direct injection. I would avoid the 2015 as they just changed to a CVT and a direct injection engine. a few problems cropped up as a result. I also have many more friends with CX5s and RAV4s.All of them seem generally happy. I think the cars that get the most complaints are friends that own Jeeps like the renegade and patriot, just avoid this brand. So there you go... my top recommendations really are the CRV, RAV4, and CX5. If the Terrain and Equinox are more your style, by all means go for that. 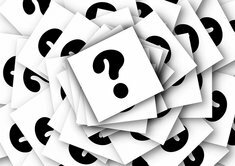 Pick the one that you can find the combination of best condition, low price, service history, and that generally feels the best to drive. 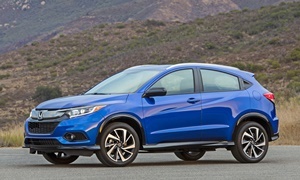 A Honda HR-V will also meet your criteria. It will carry more gear, get better MPG, and proably be more reliable beyound 100K, but louder than the Subie. Your bugdet should be sufficient to get either of the above in a 2018 model with some good wheelin and dealin skills or using a a buyer program like Consumer Reports or Costco. 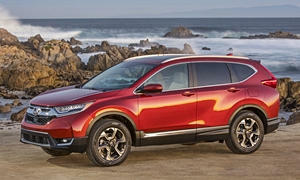 A new CR-V will be out of your price range. My neighbor loves her 2016 CR-V and doesn't have idle vibration, though I know it is a problem with those. Costco has a great program that I have used with my wife's car 16 years ago. It saved us around $4,000 even though the car was so popular it was on backorder. A $24k CR-V is $22.5k using my Costco account. More expensive cars give you more savings.